Ellen had prayed last night, over and over, while Paul slept, whispering the words out loud in case God could not hear them if they were spoken in her mind. She pleaded and begged God to keep him alive and bring him back. When she went out for a walk with Jennifer just after midday, an exodus had begun; carriages and carts were being loaded with furniture and baggage. People were fleeing the city before the fighting began – all the people who had laughed and danced as thought they had no fear. Not everyone was leaving though; there were still many hardy revelers in the parks. But watching others leaving increased the fear Ellen struggled to hold back. It slept inside her, still gently breathing, and then occasionally something would stir it and it would wake, running into her blood, gripping about her heart, and capturing the air in her lungs. My Thoughts: This book was as good as the rest of the author’s Marlowe Intrigues series. Her writing took me deep within the story, the emotion and sensuality, immersed in her descriptive sentences wooing me to reread paragraphs for the pure love of the language used. I have likened Jane Lark’s historical regency writing to sipping a good brandy, warming you inside and out, from head to toe. Lady Ellen’s unadulterated innocence and naivety absolutely broke my heart. She was thrust into situations she knew not how to extract herself. She was very much a prisoner of her upbringing, ever the lady with manners to match. Desperately, she escapes her unbearable father, Duke of Pembroke, who meant to sell her to an old titled man so his place among the aristocracy would give him more prestige. Duke of Pembroke was an unloving father who would bend his daughter to his liking. When Ellen fell in love with Paul Harding, an exceedingly handsome and apparently kind gentlemen captain of the army, her father refused to let her marry him. Contrary to her upbringing, she ran off with Paul to marry in Scotland. Captain Paul Harding, I saw as a man very self-centered, yet good, nevertheless. He was just a few years older than Elle — very young, too, and dealt with horrors most of us don’t see. He sought to cleanse his being from such horror, through the purity of Ellen’s soul and exceptional beauty. Standing in her presence calmed him while the fights of the battlefields dimmed. He knew he was cruel and selfish to take Ellen to the battlefield. He reached for what would tend his wounds, not thinking what it would do to this lovely girl, who practically worshipped him. He begun to see what he had done, but by then it was too late. Ellen was with him, he loved her and she him. She could not return to her family—the deed was done. As the story unfolds, Ellen learns a new life with Paul, far from her pampered life of a duke’s daughter. She misses her mother and sisters terribly. She gives up her mother and sisters to have Paul. She tells herself several times within the story how much she loves him, how much he is worth it. Sometimes, I think she wills herself to love him overly to compensate for the uncomfortable life of being a soldier’s wife living in deplorable conditions on the trail in preparation for battle. She clings to him in this new world, learning about life, love, war, and about the cruelty of man. Many a scene had me in tears. The shroud of purity and innocence is torn from her eyes, revealing a very different world from what she enjoyed as a child and young adult. Paul’s commanding officer, Lieutenant Colonel, tells her that her husband has died in battle. With that news, her life had no direction, her rudder destroyed. She was in total shock. She lets the Lieutenant Colonel take her to his home. After weeks of mourning, she learns she’s pregnant with Paul’s child. She remains at his home so she could have a place for the baby to be born. And being the innocent she is, she doesn’t realize by her choice he has become her protector with demands of his own. She becomes a whore without whoring, just by association. She didn’t understand any of this. The inner strife and turmoil that Ellen goes through and helplessness in the society she finds herself in, struggling between the world of where she grew up and how she should act, and the reality of her present circumstance, made me feel sorrow, pity and remorse—a heroine bearing tragedy alone. Jane Lark created a gloriously moving story. The love between Jane and Paul fairly jumped off the page. Ms. Lark does an absolutely riveting job with her haunting sentences of poetic prose. I find myself highlighting and marveling how her writing captures my heart. I most heartedly recommend this series. 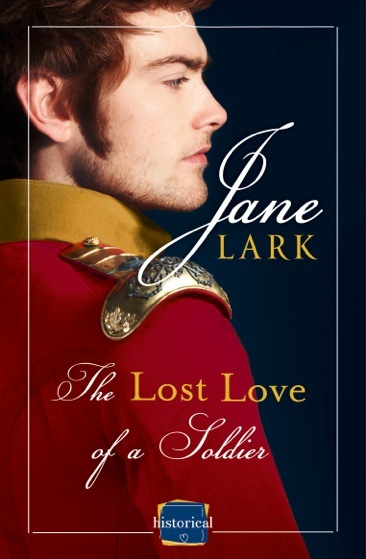 Jane Lark discusses her research for The Lost Love of a Soldier: As with John’s story in The Scandalous Love of a Duke, Paul’s story began in the earlier books. At the beginning of The Illicit Love of a Courtesan Ellen is still holding on to her love for Paul. I had picked the name of a real regiment when I made Paul a military man. The 52nd (Oxfordshire) Regiment of foot. So when I decided that, yes, I did want to write a prequel my first step was to look up the regiment I’d chosen. When I read records of their history in the Peninsular war, and then during the battle of Waterloo, which occurred two hundred years ago next year, the story began to grow in depth, and became much more than simply a prequel novella, but a story in its own right. Of course if you know the Marlow Intrigues series, you will know that Ellen and Paul eloped. I could not find any true record online of what Gretna Green looked like, or what actually happened there, and so I then spent a brief summer holiday in July last year travelling up to Gretna Green to find out for myself, you can read all about that on my history blog, but that visit also began to flesh the story out. Then, in the place the inspiration for the series began, Harriette Wilson’s memoirs, the records of a real Regency courtesan, who shared her kiss and tell stories, I used her descriptions of sharing a home, and on occasions camps and inns, with a very young army officer, to obtain an idea of what the life would have felt like at the time. I did use numerous military and social records of 1814 and 1815 too, to glean what life was like in the build-up to Waterloo too and found some really detailed accounts, even down the type of wall paper lining the walls of a makeshift ballroom. To be honest I think this story, out of the Marlow Intrigues, is the most like a Historical Fiction, it sits very much between Historical Romance and because I could not write this story and ignore the political and historically important setting, especially when it is so close to the anniversary of the battle of Waterloo. 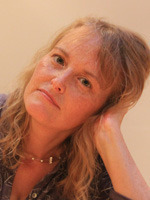 About the Author: Jane is a writer of authentic, passionate and emotional Historical and New Adult Romance, and a Kindle top 25 bestselling author. 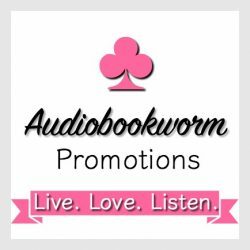 This entry was posted in Audiobook Review, Historical Fiction, Historical Romance, New Book Release, Women's Fiction and tagged Book Review, Jane Lark, the Lost Love of a Soldier. Bookmark the permalink. Thank you. The book speaks for itself.